VICE President Constantino Chiwega and Agriculture Minister Perence Shiri have reportedly agreed to discuss possible solutions to the emotive Gukurahundi issue, a top Ndebele traditional leader has said. In a leaked letter Chief Ndiweni (Vezi Maduna Mafu) thanked Shiri for accepting the proposal after emissaries had been sent by the Ndebele Paramount Chief. Chief Ndiweni said he had sent traditional leaders, Ncube and Dlodlo "to deliver my request that we directly engage on behalf of victims of Gukurahundi". "I am pleased with the reply I got from you, that you are open and ready for such engagements," Chief Ndiweni said. Gukurahundi is the name given to the post-independence genocide perpetrated by former President Robert Mugabe's administration in which some 20 000 mainly Ndebele speaking Zimbabweans were killed by a crack North Korean trained army unit under the guise of hunting down dissidents. 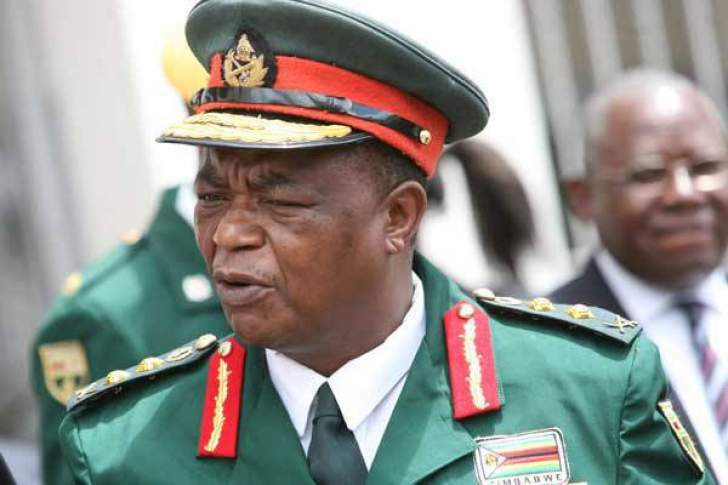 Shiri was commander of the crack squad known as the 5th Brigade during the massacres while Chiwenga was Commander One Brigade in Bulawayo that provided material and logistical support. Mugabe, during his time as President, refused to apologise for the atrocities only describing the dark episode as a "moment of madness". There was no mention of President Emmerson Mnangagwa in the letter but the Zanu PF leader, then State Security Minister, is said to have been the mastermind. In his letter, Chief Ndiweni went further to reveal that he met Chiwega in December last year, a month after Mugabe's removal, and the then Commander Defence Forces agreed to the engagements. Mnangagwa has denied personal liability regarding Gukurahundi. Cryptically though, the traditional leader indicates there were people opposed to the engagements and the proposal for open discussions about the issues. He singled out Chiefs Council President Fortune Charumbira whom he wants barred from the engagements. "So now let us start the dialogue over Gukurahundi and leave those that want to conceal it. Zimbabwe our motherland is a unitary State and its people should remain united in their cultural, tribal and religious diversity. "We do not want Chief Charumbira to involve himself in this proposed engagement," the letter dated November 18 2018 further reads.